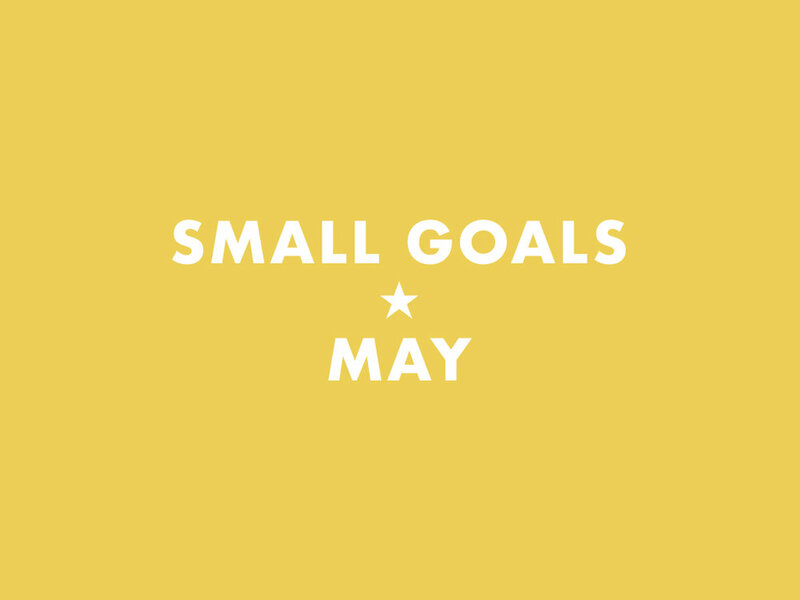 It's May and a little late but I'm here for the Small Goals round-up at Feel Good Dress Better! This month I'm still job hunting but the terrible, nerve-wracking search for a new apartment is over. I'm fantasizing about new room aesthetics to help stay motivated in the job hunt. This month I'm moving so there are a lot of tasks related to that that I'm kind of looking forward to-- not because moving is fun (it's a nightmare) but because there's something fresh and new and exciting on the other side! This is a big nope on the dollar amount I hoped to raise. BUT we did still raise close to $500 which is pretty amazing! In prior years I only aimed for $500 and fell closer to $300, and any money raised for life-changing services for victims of gender-based violence is fantastic. Overall, I definitely met the spirit of my goal even if I fell short the dollar amount. Stick with MyFitnessPal every day. I totally nailed this one! I have been checking in on it every day and it really is forcing me to be better about thinking about my body as an actual body. I tend to think if it as an accessory I can knock around rather than the house that I am always in forever. This is helping me thinking through how i treat my body better. With the move coming up it's time to get rid of anything I don't want to go through the trouble of moving into my new place. I'm throwing stuff out, doing a thredup closet clean-out, and probably selling and giving stuff away. Pull together an aesthetic that is more mature for my new bedroom. My aesthetics are great-- but they tend to lean very "teen" bedroom. I love cute things, cartoons, and toys. This has made my bedroom look like a 15-year-old's-- rather than a 25-year-old's. I'm going to pull together a new look for my next bedroom that is more age-appropriate. Put out one blog post a week. I'm trying to get back on my content game. It's a lot to do considering how much I have going on between the move and the job hunt, but I think forcing myself to just do it will help me feel more confident in my ability to make the time. I used you write like 9 posts a month! Where is that Harper?